In one of Luther’s powerful sermons for the Easter season he brings out, in a very effective way, the relation between the Lenten season and Easter, between the power and the effects of sin and the manner in which sin was overcome by the victorious Christ. Speaking of the sacrifice of Jesus, the true Passover Lamb, Luther points out that this sacrifice was indeed most necessary if the redemption of the world was to be effected. We can never fully understand and appreciate the Easter victory unless we first consider in its full extent the power of sin. 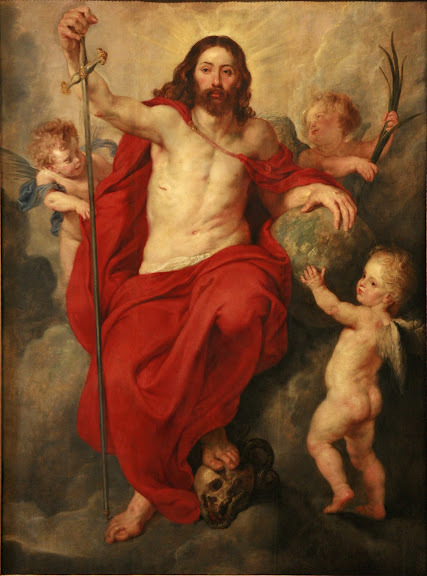 The Easter miracle, with all its glorious comfort, must cause us to think of the great and terrible wrath of God against the sin of all mankind, a wrath so great that it could not be appeased in any other way, and payment could be not be made in any other manner than through this singular sacrifice, that is, through the death and blood of the Son of God. “Christ was delivered for our offenses,” writes the Apostle. It was our transgressions, the sins of all mankind since the days of Adam, that brought the wrath of God upon sinners, that were the cause of His sacrifice on the cross, with the shedding of His holy blood. This fact should produce in us true terror on account of our sins; for it was indeed not a little indignation on the part of God which could not be satisfied with any other satisfaction but that of His own Son’s sacrifice. And could we possibly think that we might endure this wrath of God, or stand before its fury, if we do not acknowledge or realize the unspeakable power of sin? However, we have the glorious comfort that Christ was raised again for our justification. What unspeakable mercy and love is evident in the Easter miracle, since it calls to the heart of all men to leave behind the terrors of the Law and remember why God raised His Son from death. It is a miracle of comfort which St. Paul well pictures in his song of triumph in Romans 8, when he writes: “If God be for us, who can be against us? He that spared not his own Son, but delivered him up for us all, how shall he not with him also freely give us all things? Who shall lay any thing to the charge of God’s elect? It is God that justifieth, Who is he that condemneth? It is Christ that died, yea rather, that is risen again, who is even at the right hand of God, who also maketh intercession for us” (Ro. 8:31-34). And then the Apostle’s triumphant hymn rises to its overwhelming climax: “Nay, in all these things we are more than conquerors, through him that loved us. For I am persuaded, that neither death, nor life, nor angels, nor principalities, nor powers, nor things present, nor things to come, nor height, nor depth, nor any other creature, shall be able to separate us from the love of God, which is in Christ Jesus our Lord” (v. 37-39). Truly, what greater love, what greater benefit can possibly be thought of than that connected with the Easter miracle? And it is for this reason that this sacrifice of Christ is set before us, that we might have a true and certain comfort against our sin; for surely the Easter miracle, with all that went before, must cause us to be convinced that God does not want us to be condemned on account of our sin; for does He not give us the assurance of His love in the sacrifice of Calvary, which is the highest and the most precious earnest of His grace and of our salvation? Therefore, although our sin, and the wrath of God on account of our sin, is great and terrible, we have the assurance that the sacrifice and the death of the Son of God is much greater. For all this is given to us for a sure sign that God, for Jesus’ sake, is gracious to us and forgives us our sins. These are the thoughts with which we are to comfort ourselves and have the full consolation of Easter. The expression of the believer’s gratitude. As we proceed to study St. Paul’s great Easter hymn, we note, first of all, the parallel verses: “O death, where is thy sting? O grave, where is thy victory?” And we have our attention called to the fact that the quotation of the Apostle is from an acknowledged writing of the Old Testament, for he states: “then shall be brought to pass the saying that is written” (1 Co. 15:52-58). We have here an instance of the manner in which the Holy Ghost, the true Author of Holy Writ, casts an Old Testament saying into a form that just suits the present argument. For in the Prophet Hosea (Ho. 13:14) we read, in the original: “Where is thy plague, O death? Where is thy sting (or, destruction), O death-realm?” In the Greek translation of the Old Testament, as it was in general use at the time of the Apostle, the literal rendering reads: “Where is they penalty, O death? Where thy sting, O death-realm?” The version chosen by the Apostle under the Spirit's guidance is at the same time an explanation, for the plague of death is its supposed victory, and the death-realm includes all that is suggested by the idea of death. What, then, is the role of sin and death in connection with the Easter miracle? Our text says: “The sting of death is sin.” We note that the article “the” appears in the original, indicating that sin in general is meant. 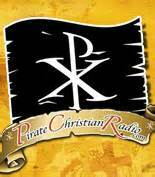 Whatever is sin, wherever it is found, and whosoever commits sin is here included. The declaration goes back to the Book of Genesis, where we have an account of the Fall of man, of the coming of sin into the world. God had told our first parents, specifically Adam: “Of every tree of the garden thou mayest freely eat: but of the tree of the knowledge of good and evil, thou shalt not eat of it: for in the day that thou eatest thereof thou shalt surely die” (Ge. 2:15-17) And because both Adam and Eve ate of the forbidden fruit, they became mortal, subject to death. And God Himself gave the explanation of the punishment pronounced upon our first parents, when He had His holy Apostle write: “By one man sin entered into the world” (Ro. 5:12). The sin of Adam and Eve corrupted their entire nature, made them enemies of God, changed their hearts to be always inclined to that which is evil, and so inherited sin is being continued from one generation to the next by natural procreation and birth. This natural inclination toward sin results, in the case of every human being, in actual sins. The Apostle writes: “Death passed upon all men, for that all have sinned.” All men are guilty in the sight of God. The series of quotations which the Apostle refers in Romans 5 is of such a nature that, as he writes elsewhere: “No flesh should glory in his presence.” For, argues St. Paul, Jews and Gentiles are all under sin, “as it is written, There is none righteous, no, not one: there is none that understandeth, there is none that seeketh after God. They are all gone out of the way, they are together become unprofitable: there is none that doeth good, no, not one” (Ro. 5:9-12). So then, because sin is a fact, a terrible fact and reality, because all men are guilty before God, therefore death passed upon all men. It is both by reason of inherited and of actual sin that we are under the condemnation of death. “The soul that sinneth, it shall die,” writes the Prophet (Ez. 18:4,20). This is but saying in other words what the Lord had told the children of Israel through the mouth of Moses (De. 27:26), as St. Paul puts it: “Cursed is every one that continueth not in all things which are written in the book of the law to do them” (Ga. 3:10). The curse of God invariably finds its culmination in death, certainly in physical death and, unless the grace and mercy of God interfere, also in spiritual and in eternal death. When the Lord says: “It is appointed unto men once to die” (He. 9:27), He excludes not a single human being. It is not that God created men for death, but that His holiness and righteousness compel Him to pronounce the sentence upon every transgressor of His holy will, that is, upon all men. The Law demands a complete and full obedience; this obedience is not rendered by men. Hence “the strength of the sin is the law.” How is this meant? The Apostle explains: “Where no law is, there is no transgression” (Ro. 4:15). But now God has given the gist of the Moral Law into the hearts of all men, so that even the heathen show the work of the Law written in their hearts (Ro. 2:15). Therefore, since men did not keep the Law, in fact, could not keep the Law, therefore death came into the world, and all men must go through the experience of death except those who will yet be living on Judgment Day. But now the Easter miracle has placed an altogether different aspect on the situation. Christ, as the Substitute for sinful mankind, as He who took upon Himself our iniquities and bore our trespasses: “He was delivered for our offenses,” thereby paying the debt which we had contracted. But note, He “was raised again for our justification” (Ro. 4:25). That is what the Easter miracle tells us regarding the role of sin and death on the day of Christ’s resurrection. This is the Easter victory to which the Apostle points in our text, when he so triumphantly declares: “Death is swallowed up in victory” (1 Co. 15:54). He does not merely say: Death has been overcome, or, the victory over death has been gained, but he uses the far stronger expression: “Death is swallowed up in victory.” By and through the Easter miracle death is consumed, has been completely put out of the way as to its power. Victory has taken the place of defeat, and therefore death has lost its terrors. This may, indeed, seem strange to us, as we daily see before our eyes the unmistakable evidence that men are still mortal, that even believers succumb to its power. We read of King Hezekiah and his earnest pleading that the Lord might grant him further time before he should be taken away. We find the Psalmist uttering his earnest prayer: “O my God, take me not away in the midst of my days” (Ps. 102:24). David apparently has the same thought when he prays: “Lighten mine eyes, lest I sleep the sleep of death” (Ps. 13:3). And there are many other passages of this kind in the Bible. However, over against these statements we have the many declarations that the children of God do not really go through the experience of death in the form in which it strikes the unbelievers. This is indicated in passages like that of Ps. 116:15, where the Psalmist declares: “Precious in the sight of the Lord is the death of his saints.” And why is this? Because the righteous, the believers, are in the hands of God, and no torment can touch them. Because “blessed are the dead that die in the Lord from henceforth” (Re. 14:13). Because death, properly understood, is the severing of the fellowship between God and man, whereas, in the case of the believer, it is the very opposite. It is, as Holy Writ so frequently describes it, a sleep in and through which the soul of the believer is transported to the presence of the Savior and will at the last day be reunited with the body, to live with the Lord in everlasting righteousness, innocence, and blessedness, taking part in the glory which belonged to the only-begotten Son of the Father. It is for that reason that St. Paul can speak of his approaching death in such a calmly objective way, when he writes: “For to me to live is Christ, and to die is gain... having a desire to depart and to be with Christ; which is far better” (Ph. 1:21,23). All this is the result of the Easter victory, a consequence of the resurrection of our blessed Savior. For, as we by faith are partakers of His death, are, in fact, in Holy Baptism buried with Christ into death, “that like as Christ was raised up from the dead by the glory of the Father, even so we also should walk in newness of life. For if we have been planted together in the likeness of his death, we shall be also in the likeness of his resurrection... Now if we be dead with Christ, we believe that we shall also live with him” (Ro. 6:4-5,8). Thus we become partakers of the Easter victory, and death has lost its terrors for us. And for that reason we join the Apostle in his grateful song: “Thanks be to God, which giveth us the victory through our Lord Jesus Christ”. Here we truly have the very heart of the proper Easter celebration. The account of the miracle itself, as recorded by the Evangelists and so frequently alluded to by the Apostles in their sermons and in their letters, can have but little significance if we merely accept it as an historical fact. The description given by Paul Gerhardt in his well-known Easter hymn Awake, my heart, with gladness, correctly pictures the defeat of the devil and his satellites, and the evil Foe is certainly painfully aware of the fact that his head is now fully crushed. But that knowledge avails him nothing more than to intensify his suffering in the abyss of hell. Where is, O grave, thy sting? Thy fears and terrors bring. Much more does grace abound. And peace now dwells within. Kretzmann, P. (1956). 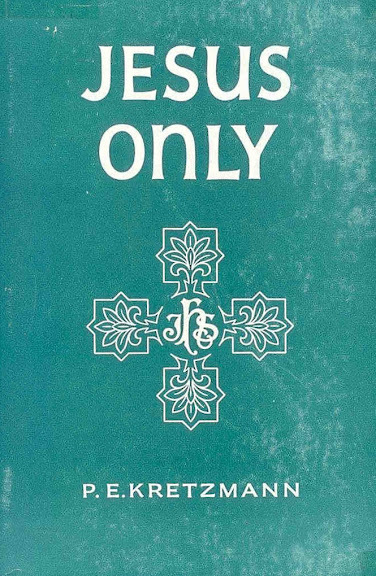 Jesus Only: A series of Lenten and post-Easter Sermons. Milwaukee: Northwestern Publishing House. pp. 76-85.